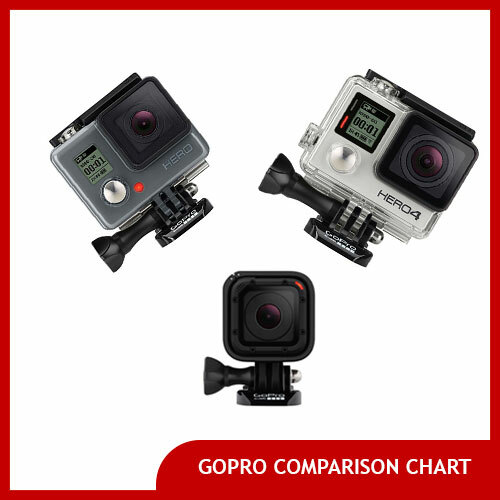 Often the difference between film and video work that seems amateurish and work that seems polished and professional comes down to sound. 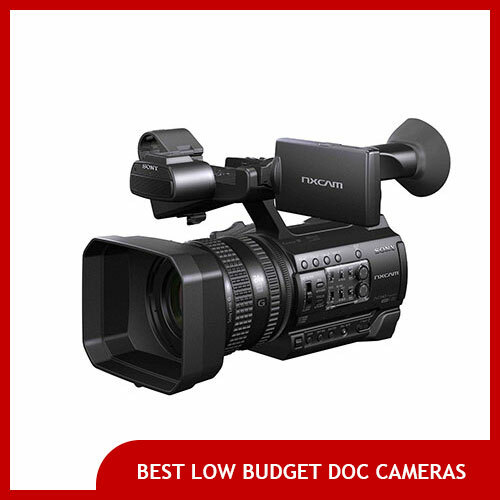 The viewer won’t recognize well recorded sound but they definitely will recognize poorly recorded audio. 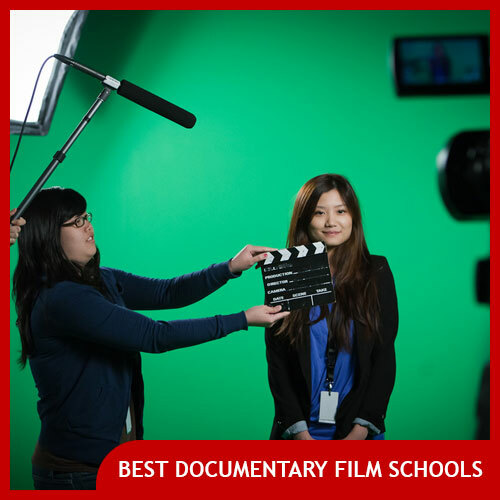 And nowhere is that more true than in omnipresent documentary narration. Note that all of the professional voiceover microphones we’ll be listing in this article have standard pro XLR ports, not USB ports so you’ll also need to get an XLR to USB adapter to capture your audio directly on a computer. The Rode NT1-A Cardioid Condenser microphone is a solid budget choice for a voiceover microphone that does a great job of isolating the sound of the talent and dramatically reducing any background noise. It has a cardioid pickup pattern, meaning the clearest sound it picks up will be the sound from your narrator’s voice directly in front of it. Off-axis sounds won’t come through as clearly however. 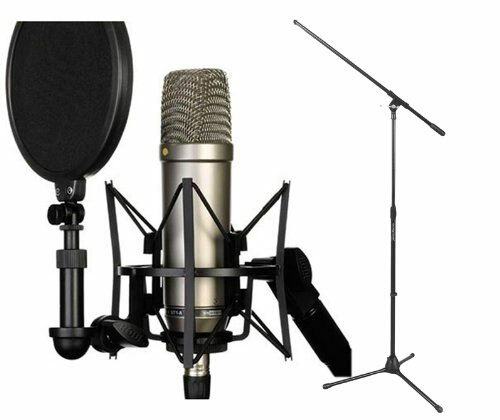 The Rode NT-1A comes with a 10 year warranty and this kit even comes with a shock mount, pop filter, instructional DVD, XLR cable and even a boom stand to rig the mic up– everything you need to get started recording narration on a budget, except for an XLR to USB adapter. 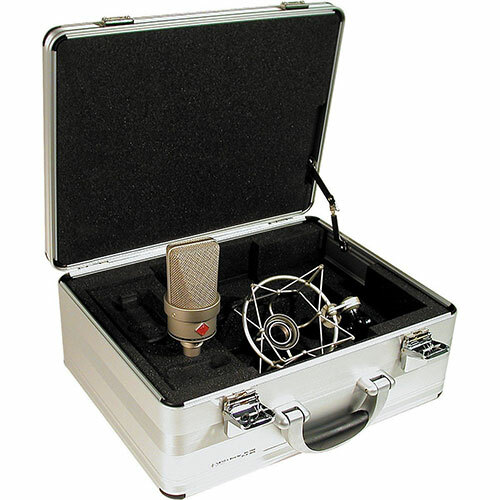 The MXL VO-1-A is a studio quality condenser voice over microphone named by legendary voiceover artist Harlan Hogan (who has been featured in hundreds of commercials, films and documentaries), who played a hand in its design and uses it in some of his own recordings. 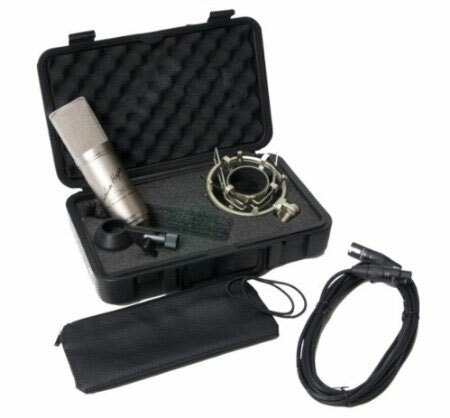 This kit includes a rugged carrying case, an XLR cable and a shock mount for the microphone. The Neumann TLM 103 is a legendary large diaphragm studio microphone that’s based off its bigger brother, the Neumann U87. Neumann is the company that produced some of the original microphones that have recorded countless voiceover, broadcast and songs since 1928. 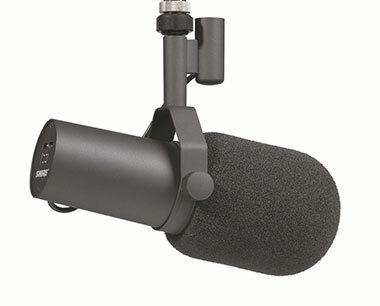 Of course, the TLM 103 doesn’t come cheap: this voiceover mic is available for over a grand. 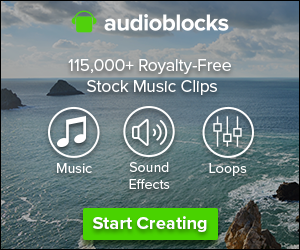 It does however produce exceptional sound quality for narration (not to mention singing and other voice recording use cases).